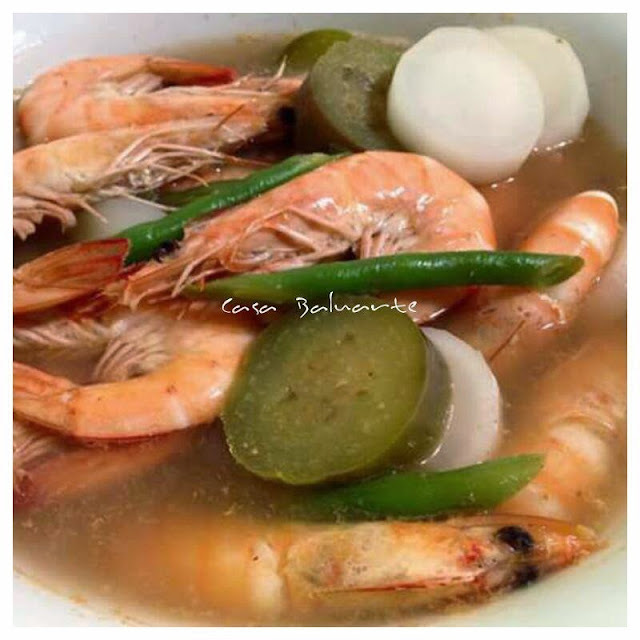 Sinigang is a popular Filipino dish that uses tamarind as its base flavor, it can be cooked with meat, fish, shrimp and vegetables. Boil water in a deep pot in high heat. Once it starts boiling add the slices of onion and tomatoes. Add the beans, radish and eggplant. Season with tamarind powder, salt and ground pepper. Simmer for few minutes then add the shrimp. 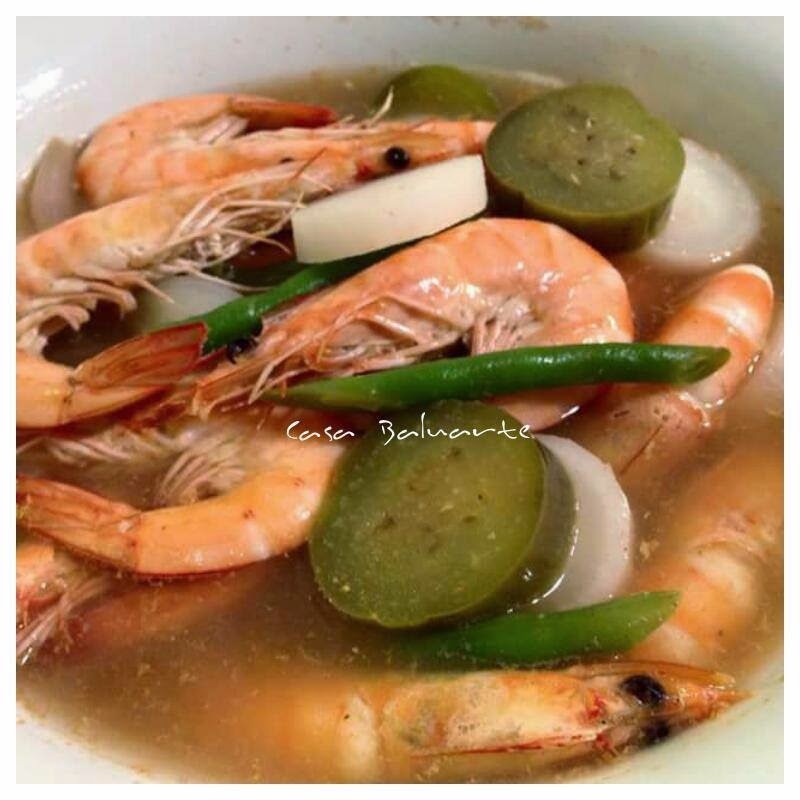 Simmer for few more minutes or till the shrimp starts floating then the shrimp is cooked. Remove pot from the heat and serve.